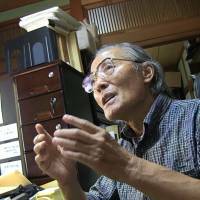 Journalist Eidai Hayashi is battling cancer. At 83 years old, he can barely keep hold of his fountain pen, since the pain has spread to every part of his body. 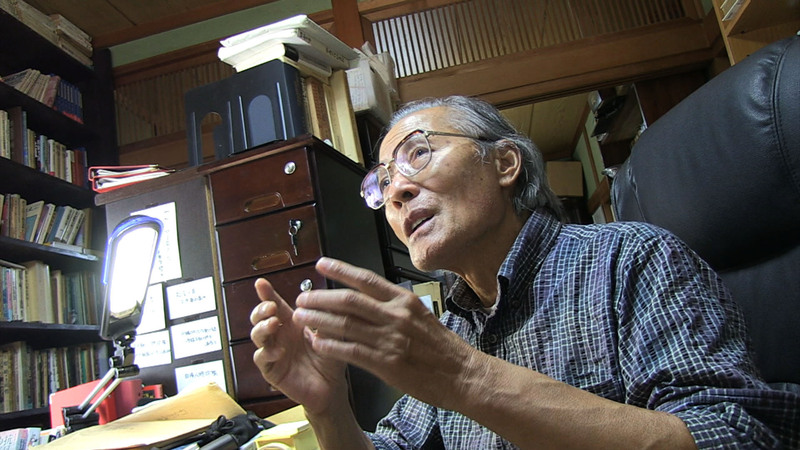 “I quit chemotherapy, though I know the cancer is just going to spread and get bigger,” he says in Shinji Nishijima’s documentary “Resistance: The Old Writer Hayashi Eidai” (“Aragai: Kiroku Sakka Hayashi Eidai”). Hayashi chose to cease the treatments to keep his brain clear, and to continue writing for as long as possible. “I can’t die, not until I have written all this down,” he says. He tapes a fountain pen to his index finger to keep it steady and bends over a desk stacked with documents, envelopes, books and more books. To him, the act of writing has always been about putting pen to paper. He has no use for a computer. The act of researching and fact collecting has always been about spending time with his interviewees, listening to their words and repeating the same process for years. For close to 50 years, Hayashi also been hunting down the survivors from Japanese history’s darkest chapters — listening and writing, writing and listening. He has investigated the infamous Shinbu-ryō (Shinbu dormitory) in Fukuoka Prefecture, which provided temporary board for kamikaze pilots during World War II. He has written about a military factory on the coast of the Seto Inland Sea where mid-teen girls were forced to work on chemical “balloon bombs” that were designed to kill American troops making their way to mainland Japan. The environment they worked in was so toxic that the girls suffered severe side-effects from assembling the bombs. Still living in Chikuho — a Fukuoka town known for its coal mines that fueled the machinery of Japan’s late 19th-century industrialization — Hayashi talked about his past and work in a recent phone interview. Chikuho miners were recruited from all over the Kyushu region, but as Japan plunged headlong into the disaster of WWII, the mining companies and the government became desperate for massive numbers of cheap laborers. 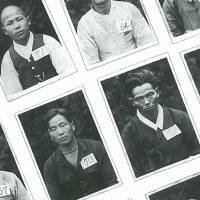 Koreans were brought in and forced to work for a pittance under atrocious circumstances. To prevent his family getting into trouble for harboring runaways, he had to lead the Koreans to the shrine in the middle of the night. Talking about this time and his parents is clearly still very hard for Hayashi. 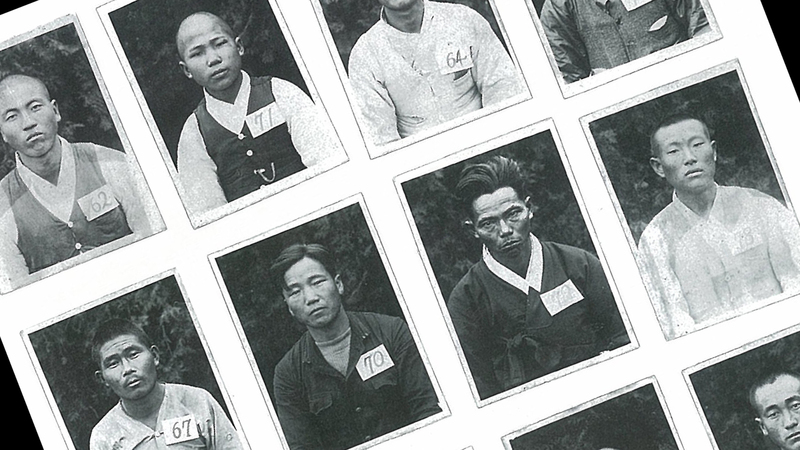 When the police discovered that he was helping Korean escapees, his father was arrested and tortured. Not long after, he died in prison. Like many Japanese of the older generation, he may be modest and understated when talking about his family, but Hayashi becomes passionate and heated when it comes to his work. His current project involves revisiting the makers of the balloon bombs. Many have died, but there are still some who are able to tell their tales. Now the remaining survivors, and the families of the survivors, are dying too. “This sort of thing just can’t be done in one book. I have to write about this some more, because no one deserves to be treated like that,” says Hayashi. “Who’s going to know these girls’ stories unless I leave some record of it? “Aragai: Kiroku Sakka Hayashi Eidai” is playing at the Theater Image Forum in Shibuya, Tokyo, and is set for a limited release in Fukuoka, Nagoya and Osaka. For more information, visit aragai-info.net.